Here at Microform we specialise in large format scanning. With businesses and organisations from all over the country choosing us for large format scanning, we are well versed in the scanning of large documents and files. 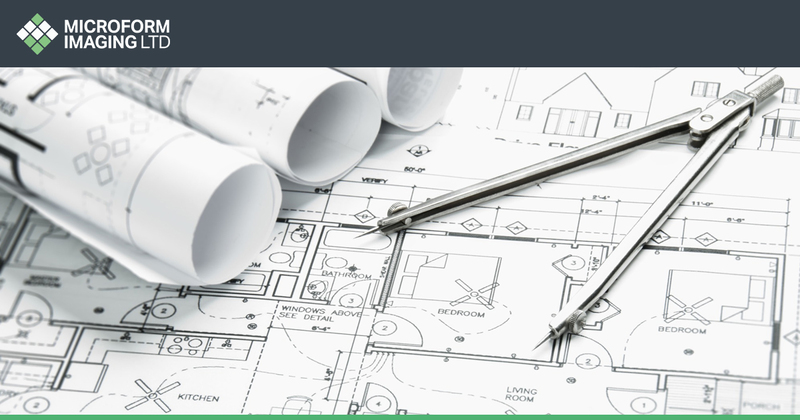 If your business happens to be in construction, engineering, or surveying, it’s likely that you’ll be used to the storage issues that come hand in hand with large documents, plans, and drawings. AO, A1, A2, and A3 large format scanning enables companies to dispose of their bulky and inconvenient documents and files by having them converted into a digital format so that they can be stored digitally. Aside from the fact that large format scanning offers businesses a considerable amount of new storage space, there are a wealth of other benefits to be had from converting large documents and files into digital formats. Quite possibly the most important reason for converting large format documents into digital formats is the fact that, by doing so, the health and integrity of the information is protected from a range of hazards and everyday dangers. Once scanned and uploaded to either our unique and bespoke document management software, or other media, files can be accessed, printed, and copied an unlimited number of times. What’s more, by using secure login and password details, files can safely be accessed by an unlimited amount of people in as many or as few locations as you require. Additionally, once the digital files are ready, they can then be located and opened on the system within a matter of seconds – instantly cutting down awkward retrieval times and processes amongst companies with large archives. How do we scan large documents and files? At Microform we take the greatest care with all documents, ensuring their safety and privacy throughout the entire scanning process. As our A0, A1, A2, and A3 large format scanning services are completely bespoke, we arrange our scanning processes around the needs and operations of our clients. We will arrange both the safe collection and return of the documents during our initial conversations to ensure their security. How can my business benefit from large format scanning? One of the main benefits of this service is that for those who no longer need physical documents, they are able to open up storage facilities and repurpose them for business expansion and other activities. Can we dispose of our large format materials after scanning? 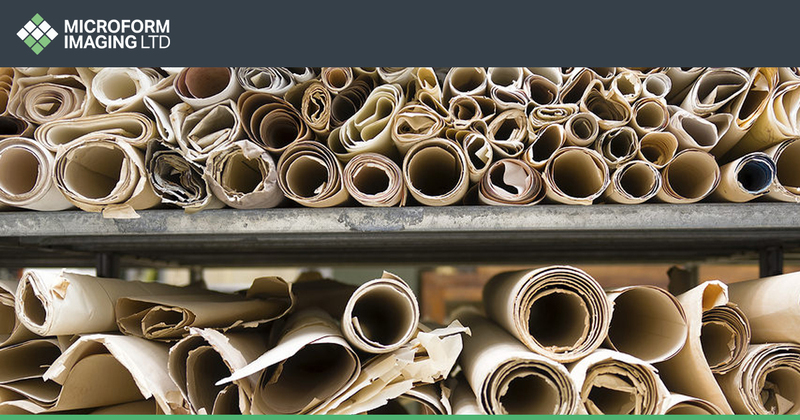 Microform is proud to offer a secure onsite destruction and recycling facility for any organisation that no longer requires original documents after the scanning process is complete. We have confidential files that need scanning, is that okay? Yes, we work with a variety of medical, financial, and law organisations which means that the vast majority of our work is dealing with private and confidential information. This is why we use our own marked and tracked delivery vans alongside strict security measures within our facilities. Here at Microform, we have over 50 years’ experience in the microfiche and image scanning industry. Having been used by a range of businesses, organisations, charities, and medical, legal, and academic institutions, we have become one of the most trusted and sought after image scanning companies in the UK. This means that we are well experienced when it comes to the handling of both private and sensitive documents including legal, financial, medical, rare, and old records. Additionally, for customers that do not wish to have their documents returned, we also provide a secure document destruction and recycling service. An option used by clients that have no further use of their documents, we ensure the security of our private shredding, compacting and recycling facilities. For more information on our A1 and large format scanning service, or our document destruction service, call us on 01904 825 700 or go to our contact page.